Bruce Wayne would only be seen in something as exclusive as the Mercedes-AMG Vision Gran Turismo. As one of the most iconic movie cars of all time, we’re all familiar with the Batmobile. It’s gone through many iterations, and its most recent appearance in the Justice League was the most badass Batmobile yet with its imposing armor and an arsenal of weaponry. But when he removes the mask and becomes Bruce Wayne, he needs a stylish daily driver. 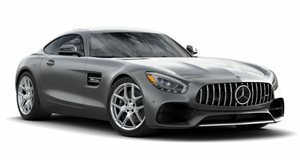 While Marvel has previously partnered with Audi and Lexus to feature cars in its superhero movies, DC decided to team up with Mercedes to give Bruce Wayne and Diana Prince some exquisite rides. A new behind the scenes video gives a further insight into the partnership and why the one-off AMG Vision GT is the perfect daily driver for the caped crusader. The team wanted to pair the superheroes up with cars that reflect their personalities, so it makes sense that eccentric billionaire Bruce Wayne would want to be seen in something as sleek, stylish and exclusive as the AMG Vision Gran Turismo. After all, it’s the only example in the world, having originated as a virtual concept car for the Gran Turismo video game series as part of the innovative Vision GT program. For the movie car, Mercedes' creative director Robert Oliver Samson explains how the team had to make the car larger than the original concept when bringing it to life. It had to be enlarged by around 10 percent for Affleck to fit inside the interior, which was created specifically for the car since the original concept didn’t have one. In contrast, Diana Prince, aka Wonder Woman, drives an elegant and far less flashy Mercedes E-Class Convertible in the film. There's a good chance we’ll see DC’s partnership with Mercedes continue in future movies. Wonder Woman 2 is due to hit theaters in 2019, so expect to see Mercedes cars make another appearance.